John Russell is a reporter. He is largely freelance at his craft although he does have affiliations with both an American newspaper chain and a British one but he writes what catches his eye and which he thinks his contacts will pay for. Sometimes his guess misses but more often than not he is successful. His nose for the news is pretty good considering the number of years he has been doing it but that length of work is double-edged. His drive to get the story and dig deep enough to get the whole truth and let the whole world know is now tempered with the knowledge that much of the truth is uncomfortable and unwelcome. He also knows that getting the whole truth can get him killed and even worse endanger those he loves. His beat is Germany in the era of Adolf Hitler and his minions. 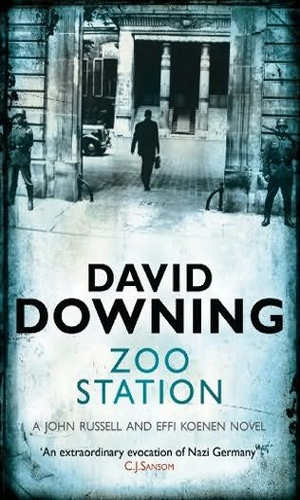 As the series begins just months before hostilities formally broke out between Germany and England, his every word is being perused carefully by the Gestapo and writing too much of the truth could get him kicked out or worse, locked in. Russell is of Anglo-American nationality. His mother is American and constantly pushing to have him get out of the danger zone. His father is/was a British citizen and thus Russell can and does consider both nations home. This helps considerably when looking for what might interest readers of either country. It also gives him somewhat more freedom of movement in ever-more paranoid Germany than a German reporter might get but also makes him more suspect to the trust-nobody Nazi authorities. He came to Germany a decade and a half before as part of his job. He liked the country and the people and he met and fell in love. Marriage followed and a son was created. The marriage did not last but his interest in Germany remained and now after so many years, it is a third home. His son is entering adolescence and Russell has a new love in Effi, a much younger woman who is an actress when she can find work. The two present the majority of reason he does not leave the growing madness that is the Third Reich for both have no desire to start over elsewhere. Until they are ready to depart, he stays, writing what he can and trying to keep everybody, if not happy, at least not homicidal. It is while maintaining this very tenuous balance that Russell is approached by virtually everybody. A Soviet contact offers him a chance to write for Russian papers while also passing along tidbits that might be useful to their side. He finds a way to get the Gestapo to agree, not knowing his true purpose. This gives him added income while hurting a regime he is finding more and more reasons to loathe. But as the series progresses, British Intelligence will come calling. And American Intelligence. And the Germans will find uses for him. And the Soviets never let anyone off the hook. Life gets very complicated and deadly for Russell. Living in Berlin to be near his young son, John Russell is a reporter who is approached to spy on the Germans for first the Soviets and soon the British. It is the Summer of 1939. John Russell has been given citizenship in the U.S. when he agrees to spy for them. Then the Nazis contact him to pass bad intel to the Soviets. 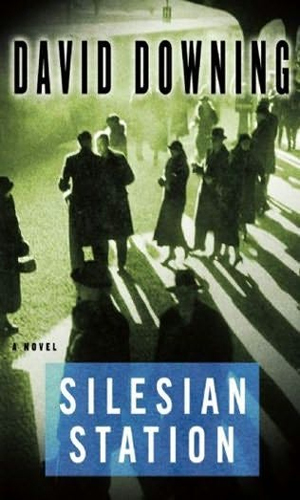 In the Fall of 1941, John Russell is a very busy man as he spies for the Americans and British and tries to learn more about the plight of the Jewish population. It is April of 1945. The Third Reich is just about over. John Russell travels to Moscow to learn about the fate of his now 18-year old son who serves in the German army. 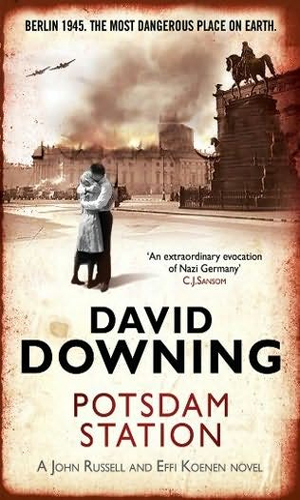 To help both him and his girlfriend, Russell must make his way back to war-ravaged Berlin. In November of 1945, John Russell is in Paris when a Soviet agent approaches him and lets him know that the Americans will be asking him to work for them again but the Soviets would like it done on their terms, or else. 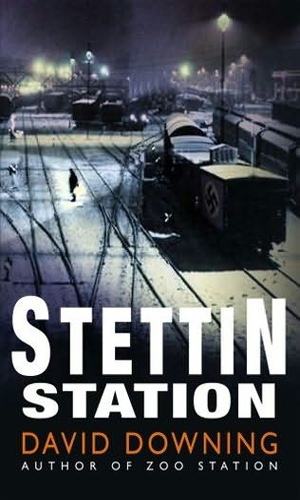 The divided city of Berlin in 1948 is a hub of espionage activity. 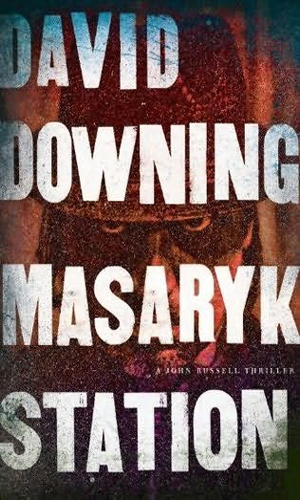 John Russell is forced to work for both the USSR NKVD and the US CIA but as he does as little as possible for either, he tries to find a way out of his forced labor. Boy! Where do I begin? How about, if you feel you deserve incredible stories of a normal guy finding himself dealing with far from normal situations, well, here they are. 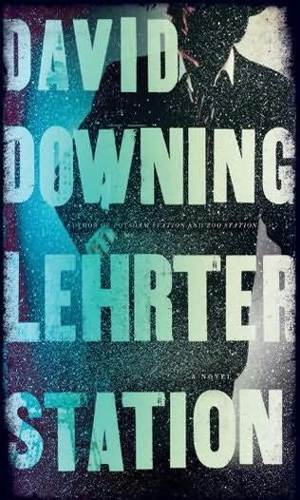 And if you just want to have fantastic writing that will sweep you from your easy chair into the frightening world of living day-to-day with the Gestapo or the KGB or the OSS or MI6, all while wanting nothing more than a simple life with your lady and safety for your growing son, again, here you are. I was blown away by the prose in these pages. The author is a genius and I do not use that word often. I like lots of different series and writing styles. I love this man's. I could go on for a very long time about how great these books are but I think you get the picture. These deserve to be read by any fan of spy fiction. Period.